A decisive point of the season has arrived for FC Barcelona. Coming up is a busy April, in which they will compete on three fronts: LaLiga, the Copa del Rey and the Champions League. 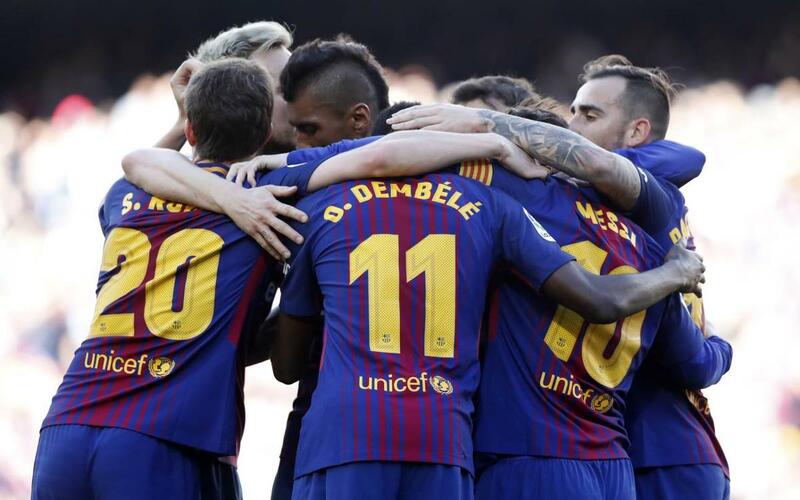 In the space of just 22 days, the team will play some 7 matches, beginning with this weekend's game against Sevilla in the league, and ending with a rematch against them in the final of the Copa del Rey. Four days after the Matchday 30 game on 31 March at the Sánchez Pizjuán, pitting Barça against the Andalusians (8:45pm CET), the Champions League returns. The Blaugrana meet Roma in the quarter final first leg, on 4 April at 8:45pm CET. They then play Leganés in LaLiga the following weekend. The return game against the Italian side comes at the Estadio Olimpico on 10 April (8:45pm),. From there, another tough contest awaits: Valencia at the Camp Nou on 14 April (4:15pm). In midweek action, Valverde's side travel to Balaidos to play Celta Vigo on Matchday 33 (17 April, 9:00pm). The schedule concludes with the Copa del Rey final against Sevilla on Saturday, 21 April (9:30pm). These 22 gruelling days will do much to define Barça's 2017/18 season.